Slots Magic Casino boasts great games from the best developers and an encompassing structure to receive players from different parts of the world. That is particularly true due to the number of languages it’s available in and the 10 currencies it accepts. Being licenced by the UK Gambling Commission, Slots Magic Casino was established in 2014 by Skill on Net and has been growing ever since. In this Slots Magic Casino review we will have a look at what makes this casino worthwhile and how it works to keep its players coming back. Each casino online for real money decides how it will award newcomers with bonuses and promotions, as that is one of their ways of standing out. Slots Magic Casino does not offer any no deposit bonuses, but its welcome gift works like this: for the first deposit new player gets 100% match bonus up to £100 via the bonus code. As part of its welcome package, Slots Magic Casino’s bonus code also grants new visitors 50 free spins upon deposit. Slots Magic Casino offers hundreds of games separated into categories for easy navigation. In fact, changing tabs and choosing where to start from is fluid and quick thanks to the well-designed page. If anything specific is on your mind, just enter it in their search box right above the game categories and see for yourself. 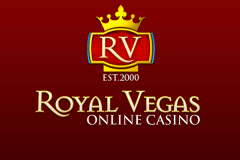 The casino also shows players its extensive list of providers on its home page via the ‘Our Game Providers’ link. Amongst their 28 software developers, players can find industry giants like Yggdrasil, NetEnt and Microgaming, which are indicative of many fine and promising games. Here ‘Slots’ tab brings many familiar titles that immediately satisfy a good deal of gamblers. As is the case with Microgaming casinos, players can expect themed slots—Jurassic World and Tomb Raider and more. Other inevitable gems and popular titles are Book of Dead and Jackpot Jester. Even though slots make up the bulk of Slots Magic casino game roster, other types of games make sure no player is left unsatisfied. For instance, Blackjack enthusiasts will be able to search for their favourite title amongst many others, since their list is long. Italian Blackjack, American Turbo Blackjack and Blackjack Platinum VIP are some of the choices—VIP games are also not few. Pai Gow Poker, Casino Hold’em, Craps and Punto Banco and a few other classics couldn’t be missing, so those who prefer card games will have plenty of games to pour money into. Live dealer casino sites grow in popularity and, as a result, become the cherry on top in many online casinos. In Slots Magic Casino, one of the game categories players can choose from is ‘Live Casino’. If you want to interact with a live dealer — in a private and secure experience — you will find yourself happy with their well-rounded roster. Live Slots Magic casino games include Roulette, which is well represented by its European, American and French versions. Other variations, such as Auto Roulette and Deutsches Roulette add to the variety and prevent any player from growing bored. Common Draw Blackjack, Live Blackjack Manual Shoe A and many others, including VIP attract blackjack players as well. Other card games, Baccarat included, are there to cater to a greater number of players. For those who wish to take their gambling with them when they are out and about, Slots Magic Casino mobile version will be up to the task. It is responsive to mobile devices and works smoothly on Android, iPhone and iPad to cater to as many users as possible. Slots Magic Mobile Casino has a good amount of games, especially slots, which account for the vast majority of mobile titles. Popular titles like Starburst and Gonzo’s Quest are available for mobile players amongst other less known slots. Besides those, gamblers seeking for other types of games will find some roulette games and Blackjack to play on the go. Depositing and withdrawing money is easily done in Slots Magic Casino thanks to their extensive list of payment options. Customers can choose from a varied list that features traditional methods. Being one of the best casino sites accepting PayPal, Slots Magic Casino is also welcoming to other e-wallets such as Neteller and Skrill. Visa, Entropay, Paysafecard, EPS and more are present as well. Since it charges no deposit fees, players can deposit at will. As usual, however, the deposit methods don’t necessarily reflect on the withdrawal methods, so withdrawal options are more limited. Availability is also dependent on the country. Withdrawing the money you’ve won can be done in several different ways, each with its particular waiting time and possible fees. You can find their updated list of withdrawal methods and their respective waiting times and fees in their cashier section before completing any transaction. It must be noted, however, that whilst Slots Magic Casino sets no withdrawal fees, it does set limits on how much players can cash out. The limits are $/€/£5,000 per transaction or $/€/£10,000 every 30 days. As for currencies, Slots Magic Casino accepts US dollars, Australian dollars, Euro, the British pound, Krona, Rand, Canadian dollars, Norwegian Krone, Danish Krone and Ruble. 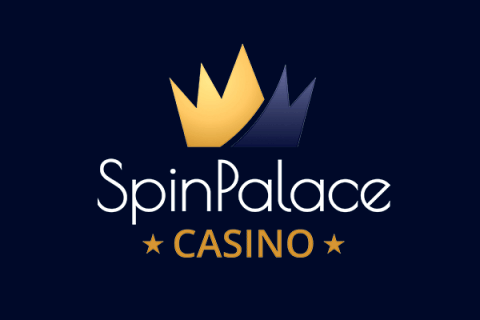 Since no one is willing to risk their money and personal information with a shady casino, we expect them to deliver high security. Slots Magic Casino makes it clear in their page they boast SSL encryption to store players’ data securely, and considering that is the same standard credit cards use, players can rest assured their data is protected. Their licensing by respected institutions helps to guarantee they meet proper security requirements. Should you experience issues at any moment, their customer support is ready to handle your query. In fact, besides their FAQ page, Slots Magic Casino features 24/7 live chat, phone and email support to make sure your demand is fully solved. Slots Magic Casino is a sleek, all-rounded online casino that provides everything players might demand from their online casino. Despite the low withdrawal limits, it offers the games, support, payment methods and convenience necessary to be recommendable as a casino to be cherished.